Christmas may have come early for Robo 3D Limited (ASX:RBO) following its announcement that it has secured approximately $2 million in pre-orders from key channel partners for the December quarter. This pre-order number is significantly higher than anticipated and has seen the company hit its highest ever pipeline level. To meet the extra demand and additional production runs, RBO has just completed a capital raising of $800,000, but such is the efficiency of the company’s logistics system that all orders will still be shipped within 24 hours. With major retail partners including Amazon, Staples, and Best Buy in its stable, this ASX listed, US-based innovator has been pushing the rollout of its 3D printers hard, delivering to desktops across offices, schools, and homes as it looks to capitalise on the growing 3D movement. Worldwide shipments of desktop 3D printers close to doubled in 2016, to 455,772 units, with shipments expected to rise sharply to 6.7 million units by 2020, which augurs well for RBO’s future. RBO has been generating as many pre-sales as possible targeting wholesale and retail customers, direct-to-consumer-sales. It has also been hard at work pencilling in affiliate agreements that can do the initial sales legwork on RBO’s behalf. The culmination of this work is a record December quarter sales pipeline equal to the revenue received for the whole of the six months to the end of June 2017. It looks like it’s onwards and upwards for this $13.8 million company as it continues to expand its international footprint. 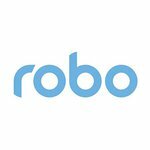 Robo 3D (ASX: RBO) has grown into a leading brand in the desktop segment of the 3D printing industry. There is an industrial revolution afoot. Every industry on Earth is being affected by changes brought about by 3D printing. The umbrella term is ‘additive manufacturing’, an appropriate name to describe the technologies that build 3D objects, and you are likely to be hearing a whole lot more about this industrial disruptive force over the coming years.